MLS# 19-543 - 5119 Calle Asilo, Santa Barbara, CA 93111 - Andrew "Andy" Adler — Century 21 Butler Realty, Inc. Location, location, location! This 4-bedroom, 2 full bath mid-century modern is in one of the ''best'' locations. Situated on a delightful tree-lined street with mountain views, underground utilities, sidewalks & level lots. Freshly painted, this home is move-in ready with remodeled kitchen completed in 2018, newer windows in most rooms, nice size formal dining room or could be used as a family room, separate living room with fireplace & sliders leading to the drought tolerant fully fenced back & side yards. Attached 2-car garage makes unloading groceries a breeze with access near kitchen. 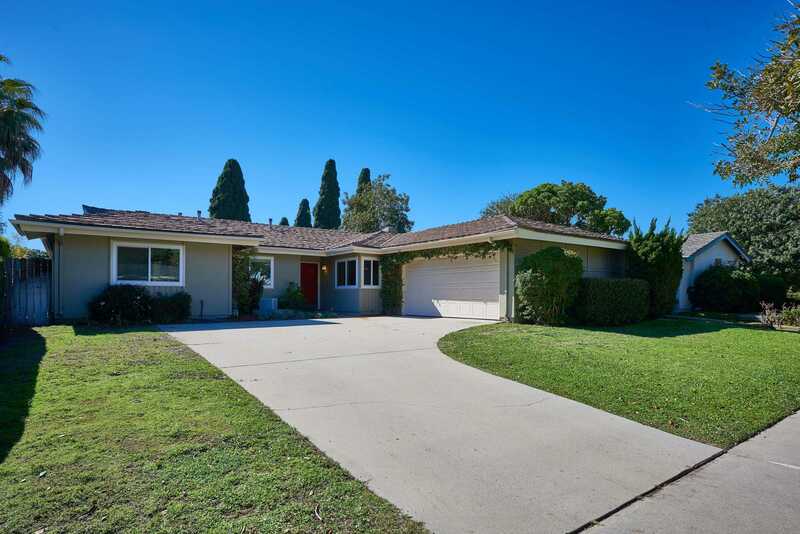 A rare find in a prime location & within the renowned Foothill school district. Please, send me more information on this property: MLS# 19-543 – $1,039,000 – 5119 Calle Asilo, Santa Barbara, CA 93111.